Shop online for 13 academy science kits / projects / experiment / educational kits at discounts up to 46%. 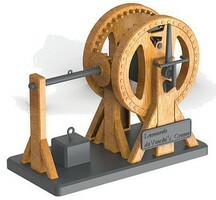 This is the Da Vinci Flying Pendulum Clock from the Academy Hobby Models Da Vinci Machines Series. Suitable for Ages 14 & Older. 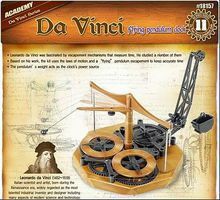 This is the Da Vinci Helicopter from the Academy Hobby Models Da Vinci Machines Series. Suitable for Ages 14 & Older. 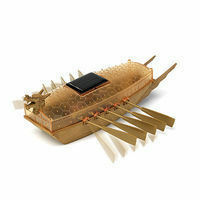 This is the Solar Power Turtle Boat from Academy Hobby Models. Suitable for Ages 14 & Up. 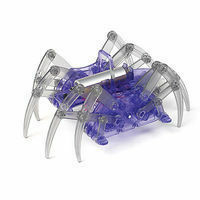 This is the Spider Robot Educational Kit from the Academy Hobby Models. Suitable for Ages 14 & Up. This is the Da Vinci Arch Bridge from the Academy Hobby Models Da Vinci Machines Series. Suitable for Ages 14 & Older. 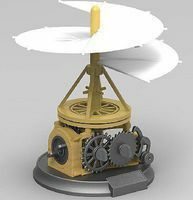 This is the Wind Power Car Educational Kit from the Academy Hobby Models. Suitable for Ages 14 & Up. 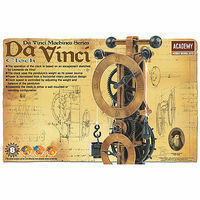 This is the Da Vinci Spingarde from the Academy Hobby Models Da Vinci Machines Series. Suitable for Ages 14 & Older. This is the Kayak Robot Educational Kit from the Academy Hobby Models. Suitable for Ages 14 & Older. 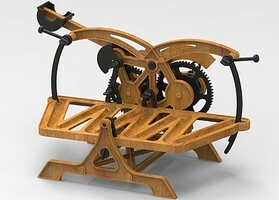 This is the Mechanical Drum from the Academy Hobby Models Da Vinci Machines Series. Suitable for Ages 10 & Up. This is the Steam Locomotive Penydarren (Approx. 8.5'' L) (Snap) Science Engineering Kit by Academy Plastics.